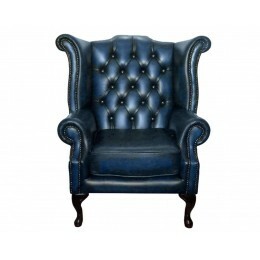 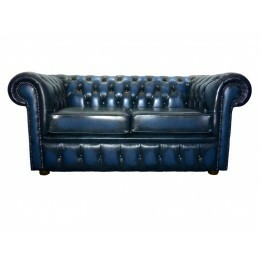 Hand made in the UK with 100% genuine leather. 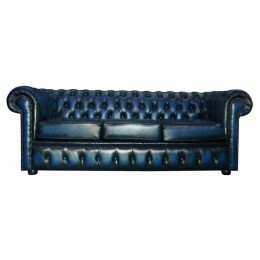 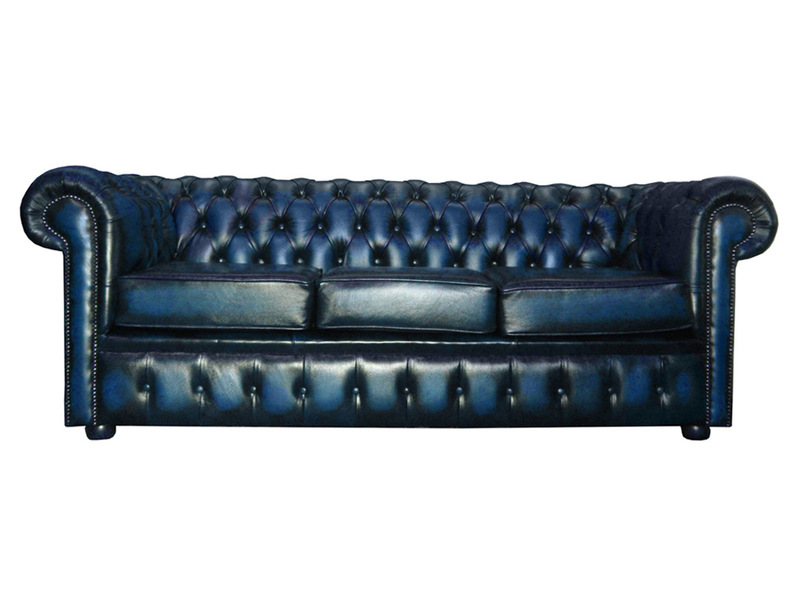 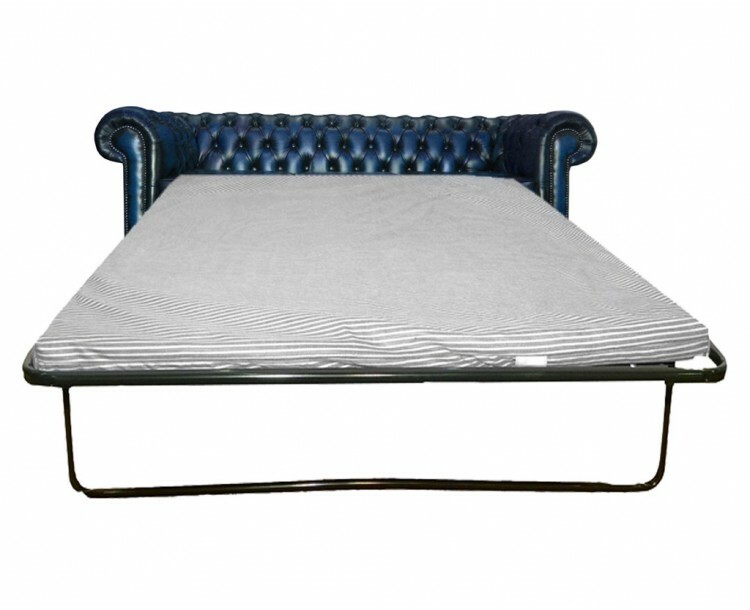 This attractive antique blue 3 seater sofa bed elegantly designed, keeping its traditional British classic look, with its low back style, deep seat cushions and stylishly curved arms, metal stud beadings and mahogany feet perfectly fit into any type of living space. 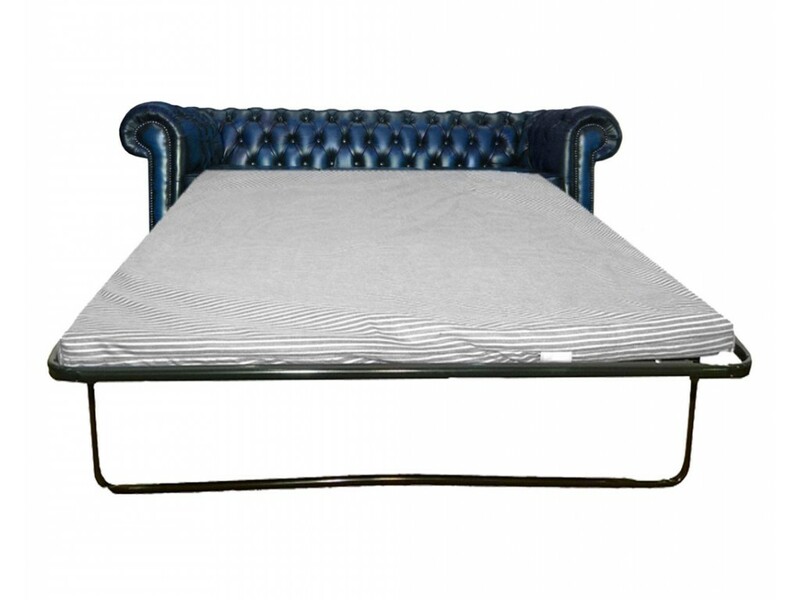 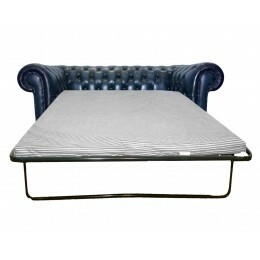 The 3 seater sofa has a pull-out metal frame with a double 2 inch foam mattress.